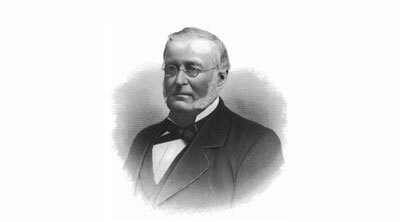 Joseph Farwell Glidden's invention of one of the most widely-used types of barbed wire in 1873 helped change the history of the American West and had far-reaching impact throughout the world. 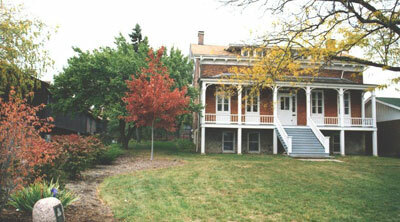 His Homestead in DeKalb, IL, is being preserved and restored by a not-for-profit organization founded in 1995. 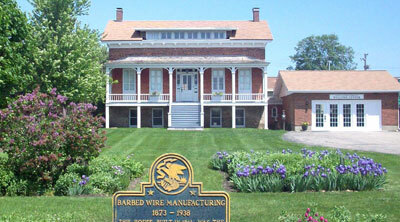 Both the home and the barn are listed on the National Register of Historic Places. We welcome your visit and encourage your membership! Join Us for 2019: "Center of it All"
Regular hours: Tuesdays, 10 a.m.-2 p.m. Admission is $4 per adult and free for children younger than 14. 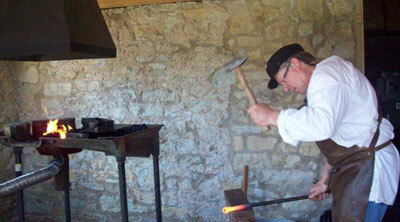 More classes and instruction coming soon. There is a fee of $20 per participant. 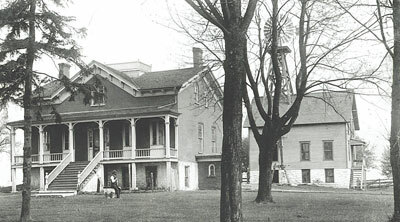 Your generous donations will be put right into running and preserving Glidden Homestead. This will make certain the Homestead is maintained and continues to provide the community with great history and examples of innovation. 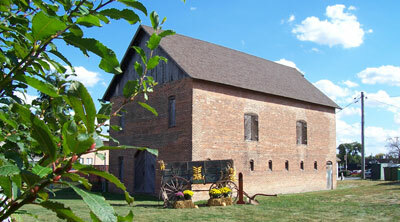 Additionally, funds will help with the continuing restoration of Glidden's 1870s brick barn. 24 Hours on May 2, 2019 Give HERE. New research by NIU History graduate student and Glidden Homestead intern Hannah Palsa over Joseph F. Glidden's Percheron horses. 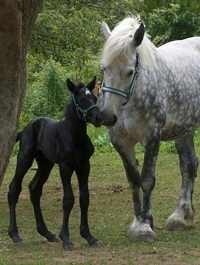 Glidden owned and bred Percheron horses for many years which allows for a greater understanding of Glidden's horse husbandry and impact on the Percheron draft horse. Read about the impact HERE. See you August 10, 2019 with a new selection of 8 great DeKalb County barns. The DeKalb County Barn Tour is a one-day driving tour of barn sites within DeKalb County hosted by the JF Glidden Homestead & Historical Center and the DeKalb Area Agricultural Heritage Association.